The Hammock Bliss Sky Bed is the world’s first truly flat two-point hammock. Using an innovative asymmetric design, the Sky Bed provides an amazingly flat and comfortable relaxation space. 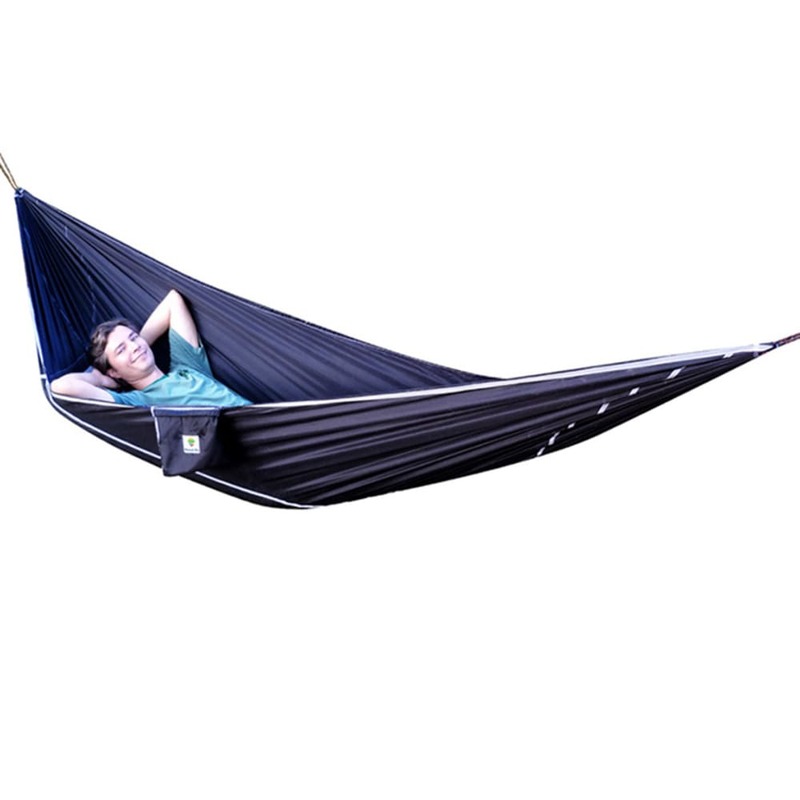 The sleep space is defined by a silver parachute nylon sleeve, which will accommodate any sleeping pad on the market. Using your sleeping pad (sold separately) in the Sky Bed provides thermal protection and helps to create the stunningly flat sleeping surface. The Sky Bed is made from super strong rip stop nylon, which is reinforced with webbing at all of the seams.